OTC Vietnam was established in December 2006 during the tremendous growth phase of Vietnam’s newly formed stock market. 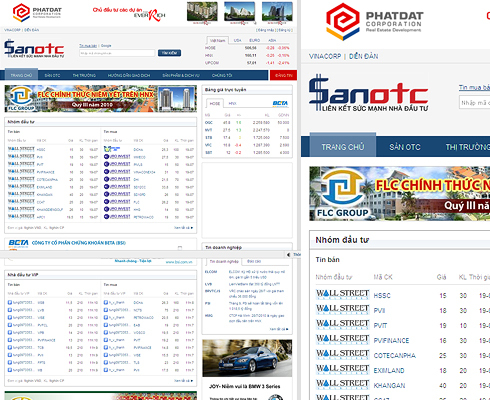 Its website, SanOTC, quickly became Vietnam’s biggest and most popular OTC securities trading platform and financial information portal in Vietnam, with roughly 250,000 registered users. The site is also a platform for OTC stock classified ads, general financial news and a user forum that has over 215,000 registered users. OTC Vietnam has also launched and operates VinaCorp, a financial portal with news and information on local and world stock markets with continuously updated information on more than 1700 public non-listed companies and 400+ public listed companies.